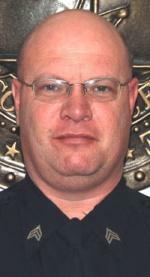 Kevin Mooneyham, 47, former Chief of Police for the City of Woodbury was sentenced Monday by Chief U.S. District Judge Kevin H. Sharp to serve eight months in federal prison for theft of federal program funds, announced David Rivera, U.S. Attorney for the Middle District of Tennessee. Mooneyham was also ordered to serve one year of supervised release and to pay restitution in the amount of $42,171.29. Mooneyham was indicted on April 22, 2015, and pleaded guilty on June 29, 2015. In sentencing Mooneyham, Judge Sharp noted that there was an abuse of the public position that Mooneyham held which could not be ignored and should be reflected in the sentence imposed. Mooneyham admitted during the plea hearing that from January 2013 through February 2015, while acting in his official capacity as the Woodbury Police Chief, he submitted fraudulent timesheets for more than $28,000 in overtime hours that he had not in fact worked. The funds used to pay the false overtime hours claimed by Mooneyham were derived from federal grants provided by the National Highway Traffic Safety Administration through the Governor's Highway Safety Office, specifically for the purpose of enhanced DUI enforcement efforts. Mooneyham also admitted that he misrepresented to other officers of the Woodbury Police Department that federally-funded overtime was not available, despite the fact that he had been submitting and continued to submit timesheets for such overtime on his own behalf. He also disclosed that he had misrepresented to a Town of Woodbury official that he had received a large percentage of federally-funded overtime pay because no other officers of the Woodbury Police Department were willing to perform the overtime patrols. In fact, several Woodbury Police officers had expressed an interest in performing such overtime patrols. The case was investigated by the Tennessee Bureau of Investigation. Assistant U.S. Attorney Bill Abely prosecuted the case. He should have received years not months in prison. He violated his oath of office then lied when first questioned. He thought he was above the law.